If you’ve completed the Best Year Yet exercises I have outlined since October 1, 2010, you are on course to have an effective and satisfying year in 2012. (If you have not had the opportunity to read my previous article, you can access the 8 key questions for smart goal setting by checking out this smart goal setting template I’ve compiled for you). If you haven’t done so already, write down your top roles in your life, and start brainstorming a list of goals under every single role. Once you’re done, you’ll have a nice long list of goals for 2012. Here are some tips to this final phase of your personal growth development plan for 2012. You are going to narrow your brainstorming list down to your top 12 goals. Why not more? The answer is focus. If you can accomplish those 12 goals, more power to you! You can then continue on down your list. However, you don’t want to overwhelm your subconscious so that you end up giving up on your goals altogether. Make sure you do hold on to the list of all your goals. 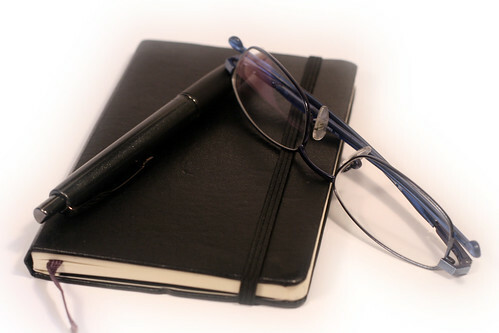 If you finish your top 12 goals for 2011, you can then start prioritizing and completing some of the other goals on your list. Review all your preparation work which has occurred to this point. (Again, all the information you need is in the goal setting template (free) I’ve put together for you). Consider your guidelines learned by reviewing your victories and disappointments from this last year. In compiling your guidelines, you also will have outlined a new paradigm forged from your experiences. Also, you will want to have your top five values and top eight roles written down on your goal setting sheet. These different lists are going to give you the perspective you need to choose your most important goals. For example, one of the goals I chose one year was to run my first full marathon. My top core values include integrity, wisdom, health, family, friendship. The marathon goal was consistent with staying healthy, but it could interfere with family and friendships due to the amount of time required to train. Reviewing my goals helped kept me honest: so I got up earlier and I planned on running the marathon toward the end of the year, so that I had a longer period to train. By stretching out the completion deadline, I had more time available for both family and friends. Here’s the easiest way to achieve balance: Make sure that you choose at least one goal from each role. By having one goal per role, you will ensure that you aren’t leaving any aspects of your life untouched. It’s a good feeling knowing that you’re growing in all areas of your life. Ask yourself, which of these 12 goals will bring me the greatest return on my investment of time and energy? Some of the goals may run concurrently, but by making some of your goals more important than others, you will have an idea of which goal to begin with. Put It All Together Into Your 2012 Personal Growth Plan! Once you’ve done all the work, here’s how you can organize it. I recommend printing your goals out, and also storing them at Evernote. By reviewing your goals with excitement and faith on a daily basis, you will be setting yourself up to accomplish those goals. What are some of your top goals for 2012? Do you have any other goal setting resources you can recommend? It’s so beneficial to plan and set future goals. Goals help us carve out a path towards our dreams and desires.. Lastly without significant goals planned out, life can get stale real quick. Setting goals will encourage you to work harder in order to achieve them. Doing without specific “goals” like stepping on a mystic road without light. Thanks, Tho. In response to your question about the number 12: It definitely could be less. Since this series of posts is written with one year in mind as a length of time for goal planning, the number 12 corresponds to the number of months in the year. Hi Stephen, great article man. It has motivated me to pull out my mission statement from a few years ago and give it an update. Then I’m going to match it up to my goals for 2011 to make sure I’m living the life I want to live. Keep up the good work! Hi Stephen~ Great post on goal setting! This is a topic that I love ~ both getting clear for myself and supporting others to do the same ~ so always love reading different people’s systems. Yours is very similar to mine ~ with the keys being goals that correlate to your top core values and goals set in each of your roles/ life categories to create/ maintain balance. I find that an additional step that is really effective is to break each goal down into it’s sub-steps. This does several things ~ not only is it easier to take small steps than to look at a huge goal that could potentially overwhelm you, but getting clear on the small steps that will get you there gives you reason to celebrate your small successes, thus keeping you motivated along the path to the bigger goal. Very nice blog. I enjoyed your ideas about setting goals connected to your values. I am not sure one can be successful if they are not doing this. What you choose for goals IMHO must resonate with who you are & what you are passionate about in life. You need to have a game plan and a map of where you are going and to get there. Very well written and through – and great timing since we’re now almost half way through 2011. According to Psychology Today, those who write down and regularly revisit their goals have a better than 300% chance of succeeding – I’ll take those odds anyday! Wow, Marquita, I need to look up that article. What an incredible statistic! Thanks for sharing them. That point about revisiting goals is really important, which is why I make it a weekly habit. I enjoyed your blog post so much that I took the liberty of taking those 3 mission statements and applying them to relationships. Please check out my post. I think you will appreciate it. Thank you for sharing your wisdom from such a deeply spiritual perspective. Dr. Erica, I’m very happy that you used those mission statements! They actually come from Richard Bolle’s book, so they are not my own. They are a very beautiful way to work out our own personal missions. thanks for your nice article about Personal growth. It helps me for research.